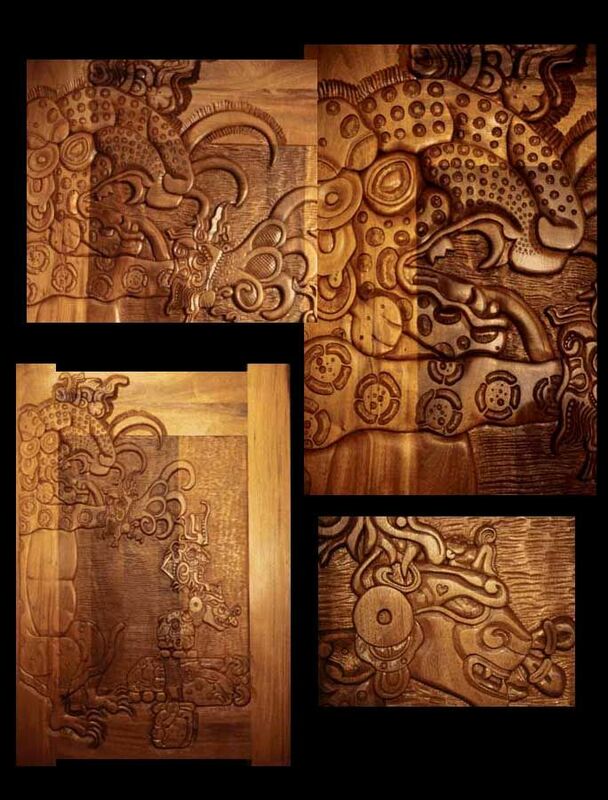 This beautiful mountain retreat, located in Woodland Park with panoramic views of Pikes Peak, is the estate of the McAfee Mansion designed to reflect the Mayan art and architecture held in great esteem by owner John McAfee. 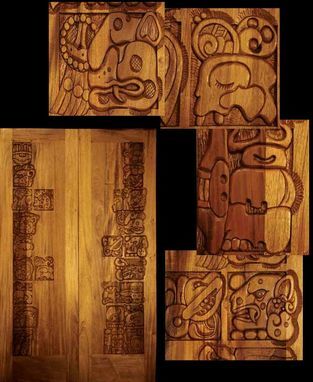 Renfree Studio crafted four sets of double doors for the interior of this retreat, as well as the front pivoting door. 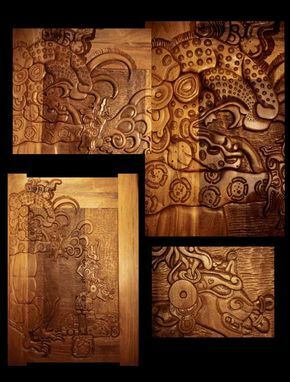 The four interior doors, one set for the master bedroom, plus three sets as the grand entrances to the estate's theater/great room are carved with the Cartouche lines of the four Mayan cities of Palenque, Copan, Tikal, and Yaxchilan. 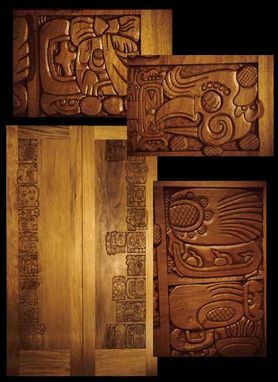 Upon the massive seven and half foot tall, seven foot wide, four inch thick pivoting front door, Raleigh combines a number of Mayan jaguar name glyphs with the larger jaguar deity, which would be carried into battle on a carved wooden shield by one of the kings of Tikal, to create a masterful design of powerful jaguar protection guarding the doorway to this stellar home.